Follow me on Twitter if you are interested in keeping up to date with my work! I am currently based in the San Francisco Bay Area of California in the United States. I work for Google as a Developer Advocate. 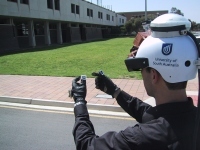 I grew up in Adelaide, Australia, where I went to university and did a PhD, and worked for a number of years as the Co-Director of the Wearable Computer Lab, doing a lot of early work in outdoor augmented reality. I am married to my wonderful wife, Samira. Together, we have two wonderful doggies that were adopted from the K-9 Pals at a local animal shelter. 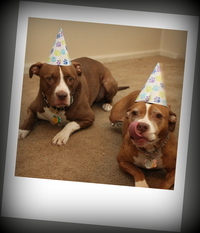 Mila is a Staffordshire Terrier mix and Dylan is a Pit Bull mix. They love to play in the yard, sleep in their beds inside, go on their walks, and get super excited for extra snacks. They are both super sweet, and they love people. Unfortunately many dogs get a bad reputation from the misinformation spread by the news media. If you want to know more about dogs, I recommend that you check out the Our Pack web site, which has a lot of good information. If you are looking for a dog, please remember there are millions of dogs euthanized each year who are waiting to be adopted from your local animal shelter. I also have a large collection of Koi fish in my backyard. It is very relaxing to watch them swim around gracefully in the water. 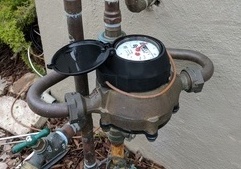 I have designed a number of IoT projects around my Koi pond that I will be publishing soon. I also maintain a projects page and blog with all kinds of interesting things that I work on. I share updates on Twitter. I was previously working at Qualcomm Research Silicon Valley in Santa Clara, California (formerly known as BARD - Bay Area R&D). I did work on concurrency, multi-core, and heterogeneous computing research for mobile devices. The last project I worked on was called MARE and allows developers to more easily exploit concurrency on their mobile devices. MARE is available for public download at the QDevNet site. Previously, the team worked on web browser optimizations, and we implemented our own prototype web browser from scratch, called Zoomm. Most of my research work was done on Android devices based on Snapdragon processors, using the Android Native Development Kit (NDK), and implemented in C++. 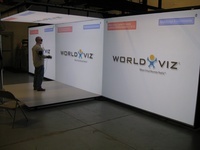 I was previously Development Manager at WorldViz in Santa Barbara, California. 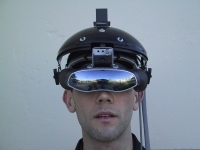 I worked on the development of the Vizard toolkit, the PPT optical tracking system, and the design and implementation of many large HMD and CAVE systems. I developed the low level firmware and synchronization technology of the PPT-H and PPT-E camera systems, which run an embedded real-time operating system to process camera images at 640x480 at 180 fps. I also designed and implemented the software for one of the largest VR systems in the world, which supported 4 users in a Motion Analysis mocap system, all wearing wide field of view head mounted displays from Sensics, combined with a 4 wall CAVE system from MechDyne. It was truly one of the most awe inspiring and realistic virtual reality systems I have ever built and used. I wrote a short blog post about it. I was formerly a Senior Lecturer and researcher at the School of Computer and Information Science, University of South Australia. 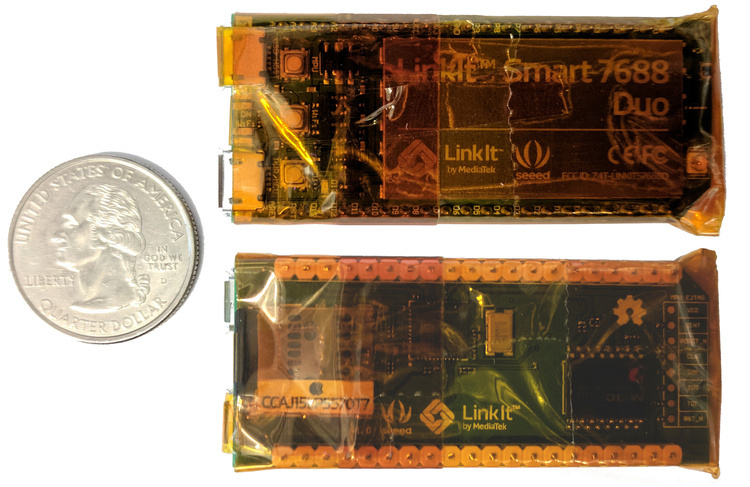 I was the Co-Director of the Wearable Computer Lab, where we developed new technologies for augmented reality, 3D user interfaces, and mobile computers. For more information about my academic work, please see my Expanded CV, Short CV, and my publications page which has PDFs of all my research papers.